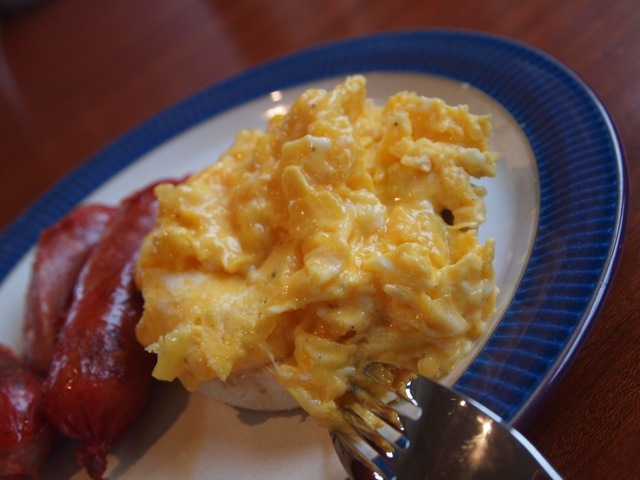 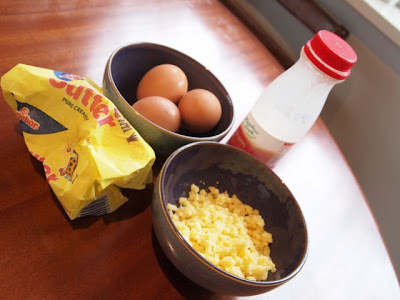 I can’t understand why it’s so hard to find good scrambled eggs, – it’s a doddle to make. The crumbly stuff in the bowl is actually cheese I stuck in the food processor because I was too lazy to grate…. 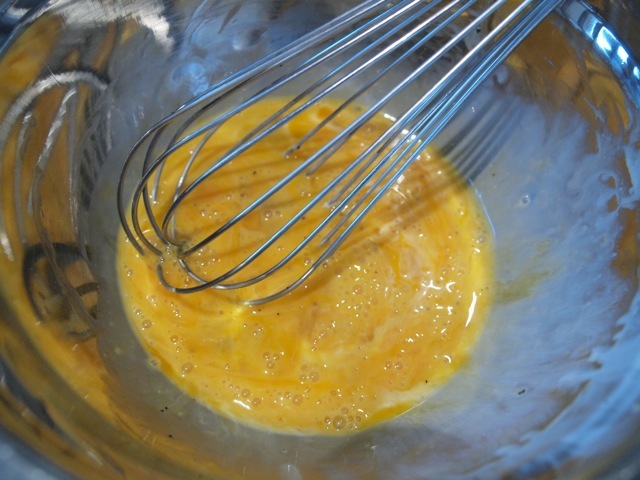 Add a tablespoon of cream to 3 eggs. 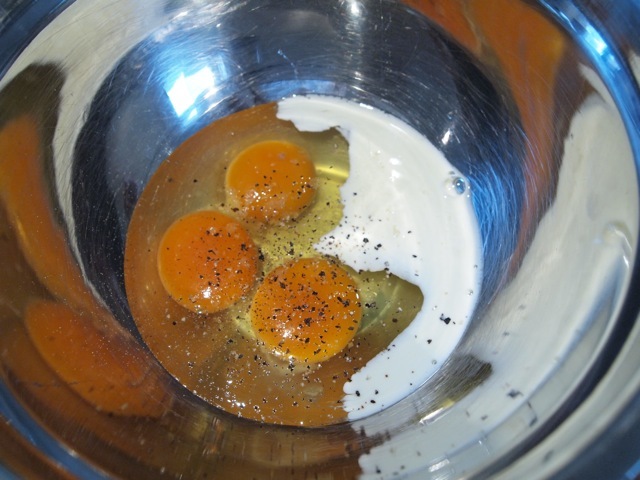 Season with salt and freshly ground pepper. 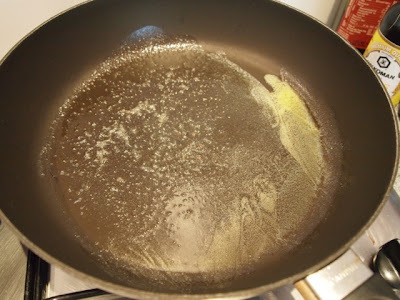 Heat some butter in a non-stick pan. 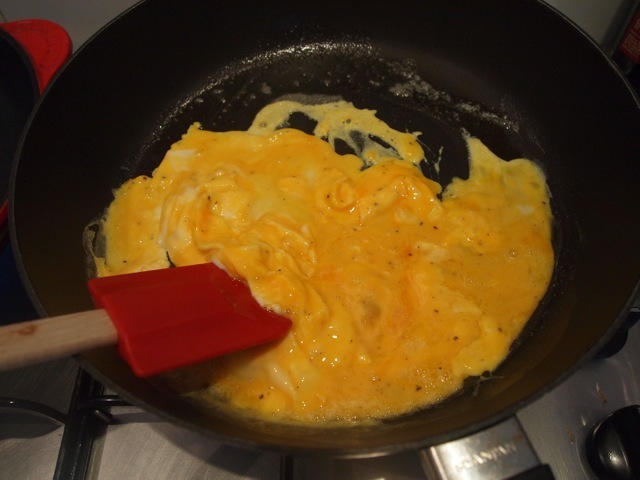 Make sure the heat is on medium, not high. Once the base has started to cook, turn off the heat. 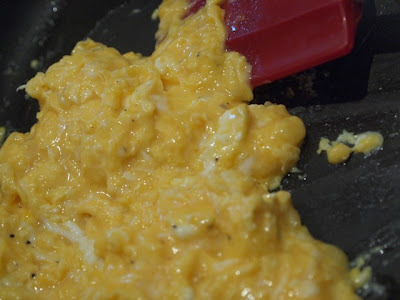 The residual heat will continue to cook the eggs Add in cheese to taste, – I like a combination of gruyere and parmesan, but cheddar works just as well. The stronger the cheese, the less you should use. 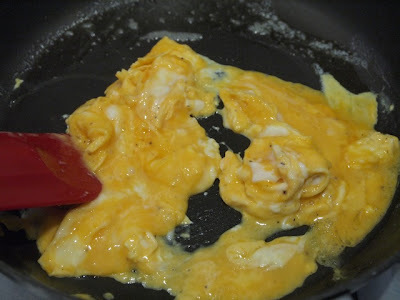 It should still be a bit runny. 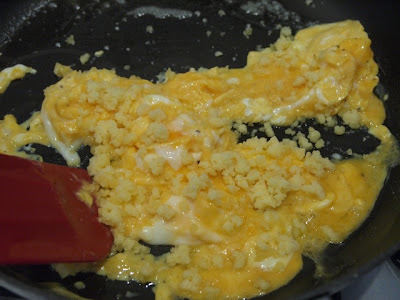 It’s done when the cheese has melted. 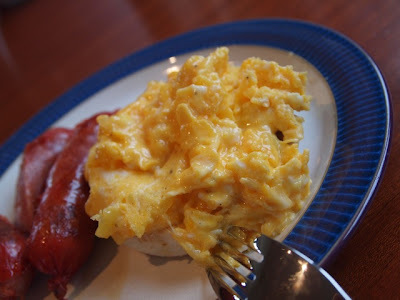 Scrambled eggs on buttered muffin with some cheesy kransky.